Think you have what it takes to survive a zombie outbreak in Fortune City? Find out by entering the Dead Rising 2 Giveaway! When gambling paradise Fortune City is hit by a zombie outbreak, Chuck must do whatever it takes to survive. Pitted against tens of thousands of zombies, some serious psychos and the constant countdown of the clock, he's got 72 hours to save himself and his daughter. 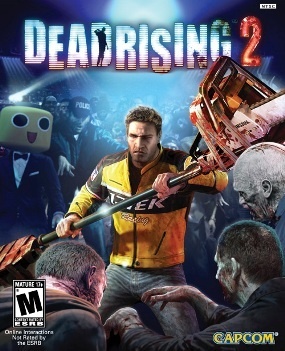 We are giving away one PS3 version of Dead Rising 2 and one Xbox 360 version! If you are 18, a resident of the US or Canada, and have a mailing address, you can enter!